Home > Printable Coupons > New Printable Coupons: Tennessee Pride, Ensure, Milo’s & More! New Printable Coupons: Tennessee Pride, Ensure, Milo’s & More! There are a few new grocery and pet care coupons now available! 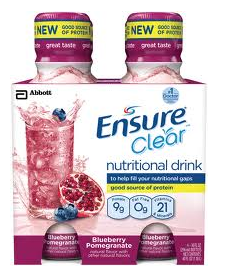 Harris Teeter has Ensure Clear 4 pks. on sale this week for $8.69. Since it’s Super Doubles week, the coupon below is worth $2.50, making the total only $6.19! I love Super Doubles week!